If you are a proud owner of a piano you must know how delicate this instrument is. If you worry about the safety of your piano during the transport, you should keep reading. If you need to relocate your instrument from point A to point B, there are two ways to do that. The first one is to try moving it by yourself. A DIY piano moving project is a difficult task, especially if you’re trying to do it for the first time. If you decide to move it without professional help, be careful and don’t injure your back while moving the piano. If you are considering to hire professional piano movers NYC, we are the right company for you. Capital City movers can offer you various types of moving services, including moving a piano. In case you think that it might be too expensive to hire professionals for this job, think again. Any possible damage that happens to the instrument will cost you way more money then the whole relocation process. When it comes to any expensive musical instrument, it’s safety comes first. 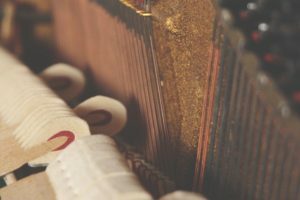 The damage made during the transportation can change the sound of the instrument completely, making it less valuable and hard to repair. Any possible damage that happens to the instrument will cost you way more money then the whole relocation process. When it comes to any expensive musical instrument, it’s safety comes first. If you want to move from the part of NYC to another, call our local movers in NYC and schedule a meeting. No matter how far you travel, professional piano movers need to secure your instrument and have the right packing material for the job. If you are moving overseas, long-distance NY movers will keep in mind the temperature changes during the trip. They will make sure your piano is covered with pads and blankets so it stays safe and dry. Different weather conditions should not affect your instrument during the transportation. At least when piano movers NYC do their job professionally. No matter how skilled you are, your piano is a very fragile instrument. During the transportation, you have to protect it and handle it with special care. Avoiding scrapes and knocks is not only a matter of aesthetics. If your piano gets the damage from the outside, it can impact the sound it will produce after the move. Also, keep in mind that your piano will need to endure bigger temperature changes during the relocation. Make sure not to keep the piano near the heating source or windows. The best way to avoid placing it in the wrong corner is to measure it before you move. This way you will be able to find a perfect place for it in your new home. Some extra money you’ll have to spend is nothing compared to the possible damage after mishandling the instrument. If you don’t have the experience of moving a piano or a pianoforte, you should let piano movers NYC help you out. Besides moving your instrument, professional piano movers NYC will help you find convenient New York City storage units for it. Moving heavy instruments such as a piano is a tricky task, so you should let the trained professionals do the job. If you don’t want to damage it and affect its sound, make sure to call high-quality NYC movers to help you. Some extra money you’ll have to spend is nothing compared to the possible damage after mishandling the instrument. How do movers relocate a piano? No matter how much experience a professional mover has, he will admit that moving a piano is not easy. When you hire Royal moving service, the movers will gather a team that specializes in moving fragile and valuable furniture pieces. A reliable moving company NYC will already have some experience with moving pianos. When scheduling a meeting with the moving company, make sure to ask all the questions about the security of your instrument. Depending on the size of your instrument, the company should send at least two workers to transport it. They will come with the fully equipped moving truck. It should be specially fitted for moving a piano in New York. One of the hardest things about moving a piano is that sometimes it cannot be disassembled like other furniture pieces. At least, it applies to the most of piano models. Securing your piano thoroughly is necessary to prevent the damage during the transportation. Instruments that can be disassembled before the relocation need a special kind of protective material. Piano movers NYC usually wrap the inner and outer parts of the piano in protective pads and blankets. Professional packing supplies are necessary to protect your instrument. That’s one of the main reasons to let the piano movers NYC do the relocation. Moving a piano can be pricey, but it pays off in the long run. The overall cost of the move usually depends on the type of the instrument. The studio upright piano is the most popular one, for sure. This instrument is often used in studios, or in New York City apartments. The reason is obvious – it’s size makes it easy to fit into any home. The standard upright piano. This model people usually don’t use in studios, but just for home use. It’s very popular in families with children who take piano lessons. The baby grand piano is very difficult to relocate. It requires experts to safely move it from point A to point B. The studio grand piano is the most common among the bigger piano instruments. It’s size usually makes it stay longer in concert halls or studios, so it doesn’t move a lot. Even if movers need to relocate it, it can be pretty difficult to manage. 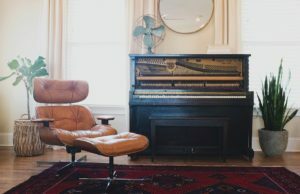 Whether you plan to move your piano from the studio or your home, you should know how professionals prepare it for the move. There are many bulky pieces of furniture that movers relocate every day. Moving a piano is way different simply because it is a delicate instrument. On bump or scratch can damage the sound of it and cost the owner a lot of money. 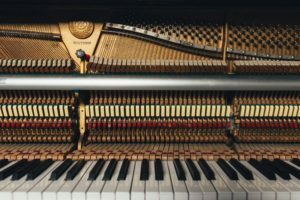 Moving a piano is way different simply because it is a delicate instrument. On bump or scratch can damage the sound of it and cost the owner a lot of money. Locking the piano. This part is very important, especially if you’re not planning to disassemble the instrument. Locking it will prevent the inner parts to damage and change the sound after the relocation. Wrapping the instrument. 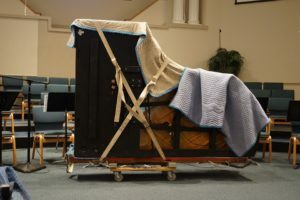 Everything from blankets, pads, and tape can be used to secure the piano. Softer materials will keep the corners safer from bumps and scratches, and tape will hold all the pieces together. Supporting the weight of the instrument. Professionals will access the situation and engage as many workers as it’s needed. Reliable piano movers NYC will not let the gravity do any work for them. Their manpower and years of experience are the keys to a successful piano move. Moving an upright piano is the most common type of moving this kind of instrument. The reason is obvious – the size of an upright piano. It is very common in people’s homes. The usual size of the upright piano is around 58 inches wide. The best part about moving this kind of piano is the easy method professional piano movers use to relocate it. Even though this kind of piano is not among the heavier ones, it will take one person per 100 pounds to move it. One the most common types of piano today is the upright piano. The standard width of these pianos is around 58 inches (147.3 cm). They can weight between 400 and 600 pounds. Despite their differences, both the full vertical and the smaller studio upright can be moved using essentially the same method. While moving an upright piano, professional piano movers NYC will use different wrapping materials. Also, they will measure the path from your home (or a studio) and measure all the entrances. The most important part is for the piano to fit every door until it is loaded to the moving truck. Even though this kind of piano is not among the heavier ones, it will take one person per 100 pounds to move it. Movers know how to transfer the weight the right way so nobody gets hurt. Although an upright piano seems easier to move than the grand one, it is not always the truth. The reason is simple. While the upright piano movers carry using straps and handles, the grand piano needs to be transported on the sliding board. When the piano is safe and secure, the professional mover will start moving your piano. During the time they carry the instrument, a worker will try to focus on the center of gravity and lead it through the doorway. After making a break, movers will carefully lift the instrument by squatting and maintaining a straight back. This is the only proper way to lift and carry heavy object such as a piano. 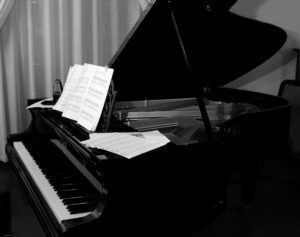 Before you hire professional piano movers NYC to help you move your piano, you better know how they do it. It is not easy to move a grand piano since it is particularly long and heavy. A grand piano takes much space so it’s not easy to coordinate. If you want to know how professional piano movers NYC do it, keep reading. The first thing professional movers calculate is the size and weight of the grand piano. It can weight anywhere from 500 pounds up to 1300 pounds. The size varies depending on the type of the grand piano. The „concert“ grand piano is the largest one, so it rarely moves from one location to another. On the other hand, a smaller version of a grand piano is not so rare to find in residential homes and New York City condos. If you are a piano owner there’s quite a chance this is the instrument you plan to move. Moving a grand piano is a complicated task and it takes many steps to organize this kind of the move. Measuring the instrument is the first step to a successful grand piano move. Moving a grand piano is a complicated task and it takes many steps to organize this kind of the move. Measuring the instrument is the first step to a successful grand piano move. Grand pianos are usually transported on-end. This means that movers will put the instrument to rest on its side and slide it through the doors and hallways. This way it will become taller than in its natural position, so they will check the hight of every door on the way. The safest way to move a grand piano is to roll it on a special moving board, so-called „a skid board“. When the piano is put to lay on its side, movers will remove (unscrew) its legs so it can fit properly through the door.